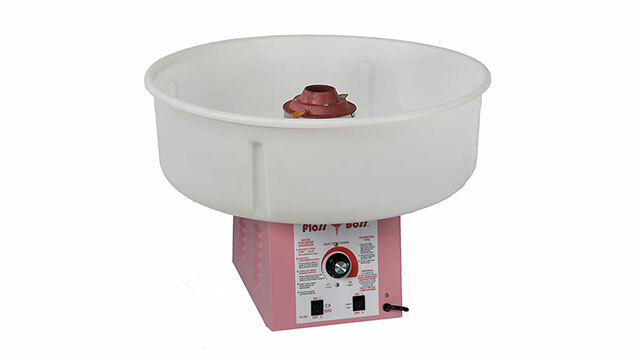 This commercial grade Cotton Candy Machine makes deliciously fluffy cotton candy. No need to wait for the circus to come back to town! Our machine comes with everything you’ll need to make 40 servings. Double the supplies for only $10 more. The kids will be amazed when cotton candy starts appearing like magic and you’re the magician! Be ready for second helping requests. Choose any two cotton candy sugar flavors, each makes two batches. 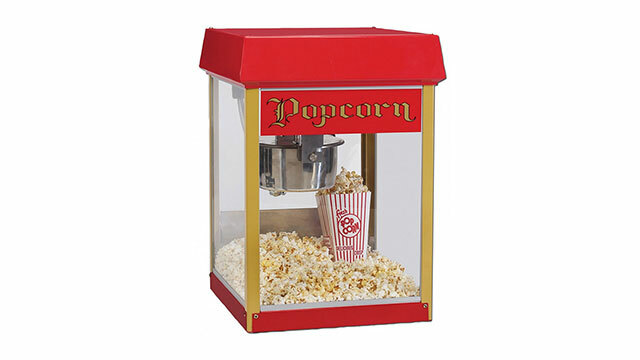 This commercial grade Popcorn Machine makes great popcorn. Just like the movie theater! Our machine comes with everything you’ll need to make 40 servings. Double the supplies for only $10 more. The kids will gather around when they start to hear the pops and smell the butter wafting through the air. Don’t be surprised if the adults are first in line! 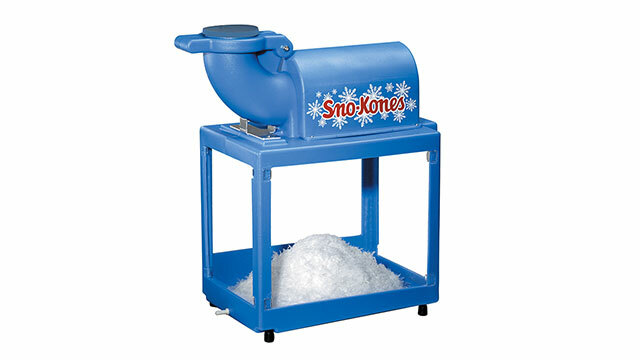 This commercial grade Snow Cone Machine makes sweet, chilly snow cones . Nothing else cools you down quite as tastily in those hot summer months! Our machine comes with everything you’ll need to make 40 servings, except for ice. Double the supplies for only $10 more. We will be happy to pick up 20 pounds of ice and provide a cooler to use for an additional $5. This is the only way you’ll be able to get them to take a break from the water slide or bouncer and chill out, literally! Its always a summer favorite, but delicious all year round. Choose any two snow cone syrup flavors.